KPJ Bandar Maharani Specialist Hospital is the first private specialist hospital in Muar and Northern of Johor. Equiped with up to date modern technologies and offers full range of services which include Inpatient and Outpatient Medical-surgical services, Diagnostic Imaging, Laboratory, Physiotherapy and 24 hours Emergency services. Our rooms ranges from VIP Room, Single Deluxe and Standard Room, Two- Bedded, and Four- Bedded. For the first phase of the development, the hospital have the capacity of 63 beds with 15 Clinics, 2 Operation Theatres, 2 Labour Rooms, 2 ICU beds, and 4 Dayward beds. Among the range of clinical specialities offered at the hospital are urology (using laser lithotripsy technology in kidney and ureter stone treatment), breast and endocrine surgery, and hematology (treatment of blood conditions). KPJ Bandar Maharani also provides the Arteriovenous Fistular (AVF) Procedure for dialysis patients. 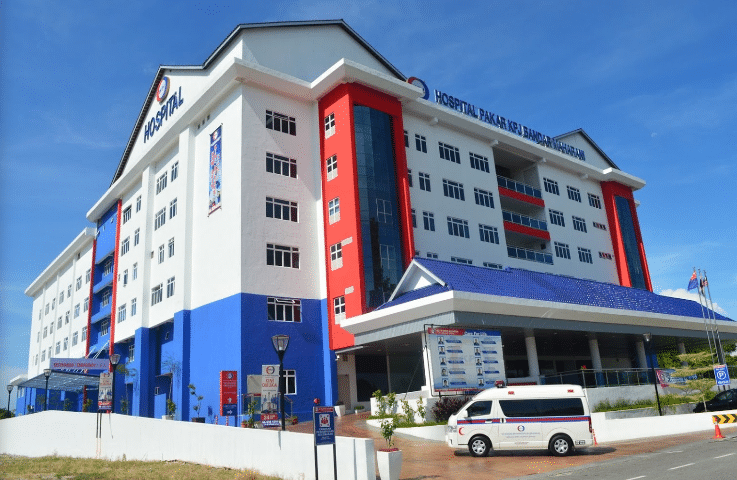 The hospital is already treating dialysis patients from Muar and Segamat, who would otherwise be required to go to Johor Bahru for the procedure. Other services include laser hemorrhoids and varicose vein (DVT) treatment. The hospital focusses heavily on family care and health. It has 5D Ultrasound for moms to be, plus its own fully equipped Family Health Centre. iBanding Services Sdn Bhd (iBanding) has made every attempt to ensure the accuracy and reliability of the information provided on this website. However, the information is provided "as is" without warranty of any kind. iBanding does not accept any responsibility or liability for the accuracy, content, completeness, legality, or reliability of the information contained on this website. No warranties, promises and/or representations of any kind, expressed or implied, are given as to the nature, standard, accuracy or otherwise of the information provided in this website nor to the suitability or otherwise of the information to your particular circumstances. We shall not be liable for any loss or damage of whatever nature (direct, indirect, consequential, or other) whether arising in contract, tort or otherwise, which may arise as a result of your use of (or inability to use) this website, or from your use of (or failure to use) the information on this site. This website provides links to other websites owned by third parties. The content of such third party sites is not within our control, and we cannot and will not take responsibility for the information or content thereon. Links to such third party sites are not to be taken as an endorsement by iBanding of the third party site, or any products promoted, offered or sold on the third party site, nor that such sites are free from computer viruses or anything else that has destructive properties. We cannot and do not take responsibility for the collection or use of personal data from any third party site. In addition, we will not accept responsibility for the accuracy of third party advertisements. Refer also to iBanding's Terms & Condition and Privacy Statements that apply.